CAPE ELIZABETH — And there the human remains lay after a death at sea, present in a physical world in a morgue, but unidentified and, therefore, unclaimed. 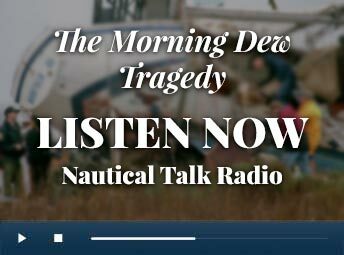 For the families involved in sea tragedies, emotional closure is often facilitated by something tangible, such as the recovery of a beloved’s body. For many, though, the sea does not give up the bodies of loved ones for their families and friends to mourn in ceremonies. Sometimes, these families of lost mariners have only the wreck site or a piece of flotsam to visit or mourn after tragedy. But are all of these lost sailors really lost forever? 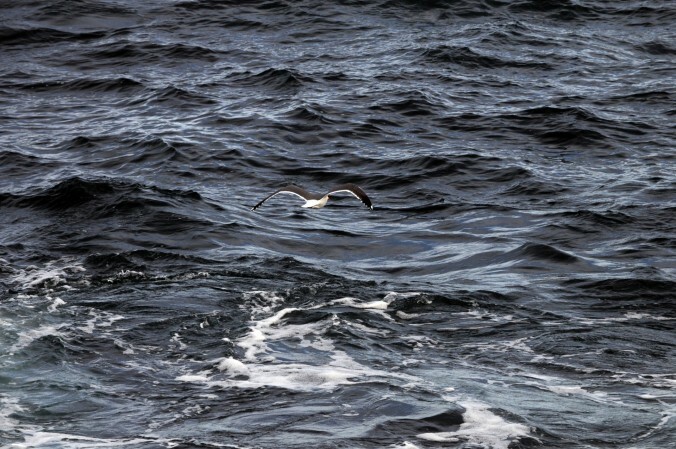 The remains of most individuals who perish at sea are not immediately retrieved and are seldom recovered. But in rare circumstances, their remains or parts of their remains are later found. My first experience with a “dated” set of remains came during my tour in Portland from 1992 to 1995 as regional deputy Coast Guard rescue commander, when a Navy pilot was recovered some 20 years after he had perished in the 1970sin the waters off Maine. His flight suit and other indicators identified him. Now, new technologies make it easier for the sea’s mysteries to be unraveled. A 2003 National Institute of Justice decision to fund the increased use of DNA technologies opened up a system that had previously been the exclusive domain of law enforcement and paved the way for an interactive public database for maritime families. The National Missing and Unidentified Persons System enables the public to upload personal data into tailored missing person’s reports, including typical identifiers like hair color, tattoos, dental records, medical history and genetic samples, to be compared with data that police, medical examiners and coroners have entered regarding unidentified bodies. My first experience with NamUs came in 2014 with the Massachusetts family who were the subject of my last book, about the tragic loss of the F/V Sol e Mar. Their experience with remains recovered off Rhode Island in 1996 – six years after their fishermen family members were lost at sea – ended in frustration, and their sad experience left the mystery of another set of remains unsolved. It was clear, however, that the process they had gone through held a message of hope and closure for many families who had long since accepted the Coast Guard’s proclamation as final. That report gets distributed throughout the state, including to the Office of the Chief Medical Examiner. Law enforcement can then share this information on NamUs. The Medical Examiner’s Office is the only facility in Maine to house unidentified remains. In all medical examiner cases, there is an inquiry to determine cause and manner of death. Photographs and measurements are taken, fingerprints are taken if possible and DNA samples are obtained from the remains. The DNA profile can later be tested against a sample from a family member if one becomes available. Senior Coast Guard officials are working to establish national procedures for state medical examiners and local Coast Guard commands to cooperate to identify unclaimed maritime human remains. With these new processes, and greater awareness of NamUs, comes the prospect of resolution for some families.